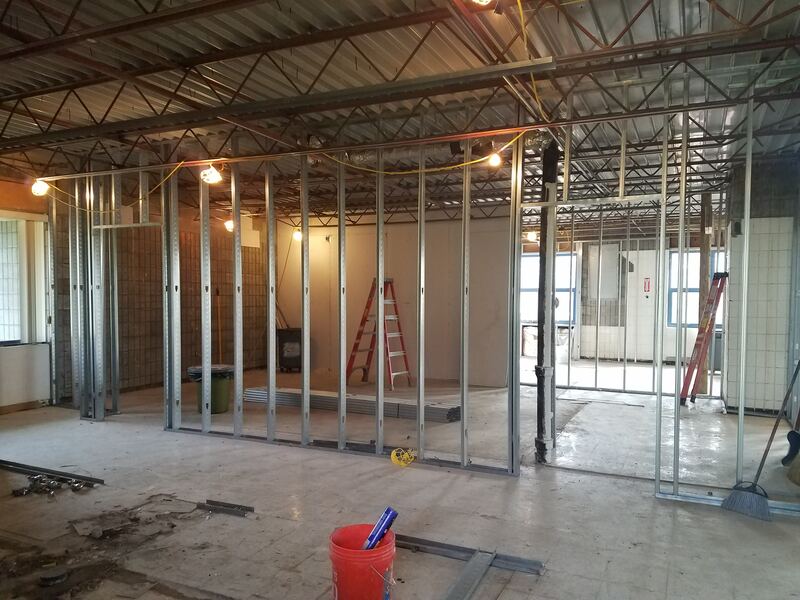 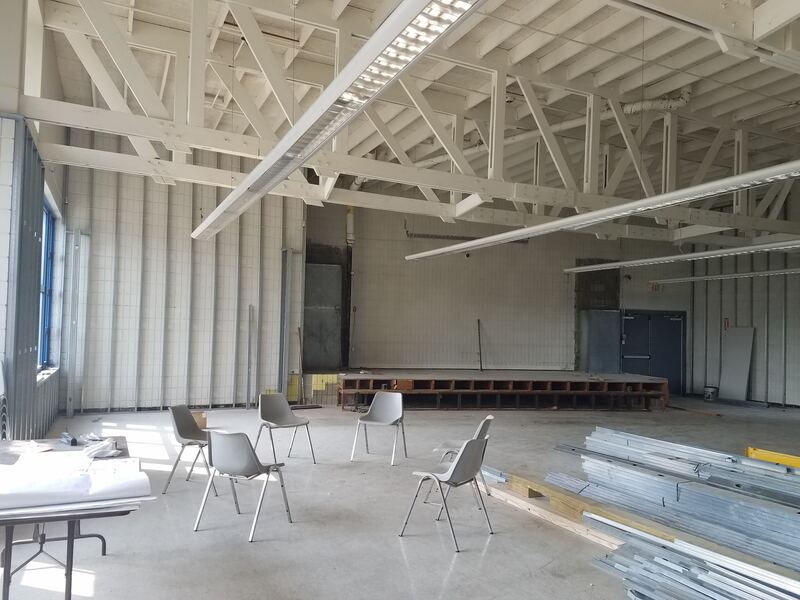 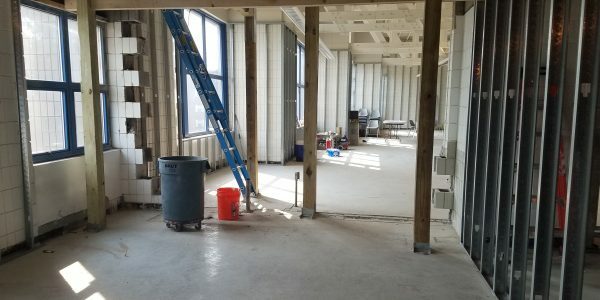 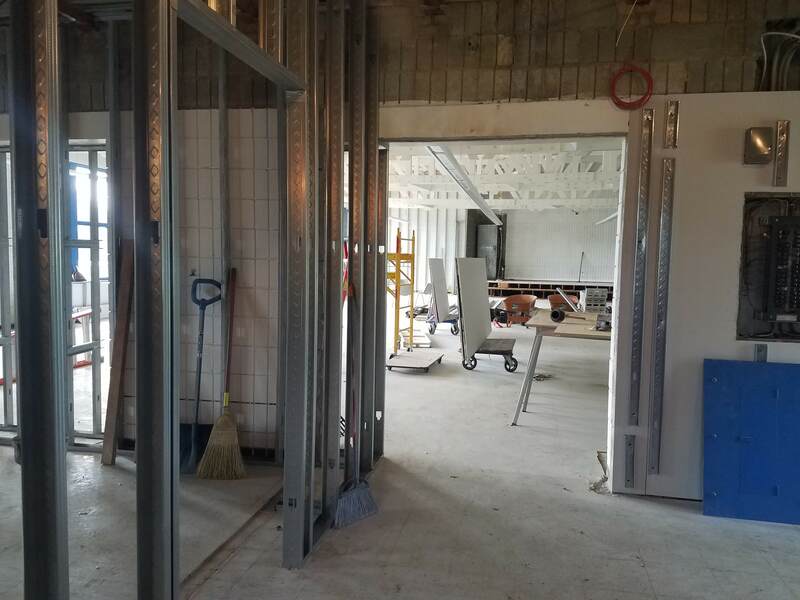 Future Program Room – You can see the 2 entrances that will allow us to have simultaneous programs! 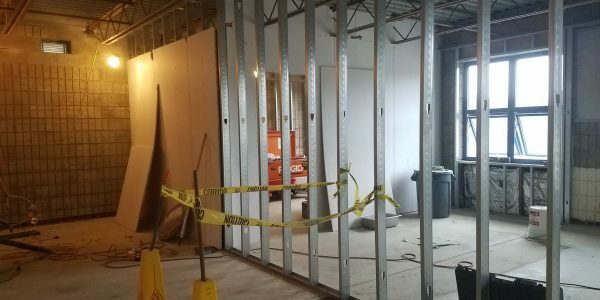 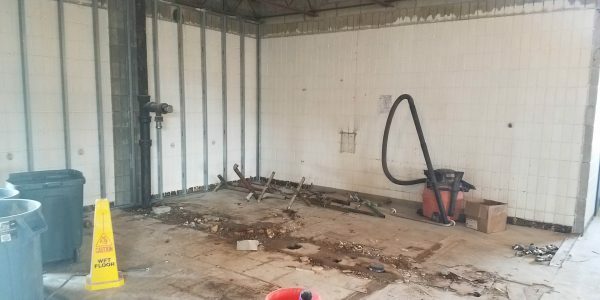 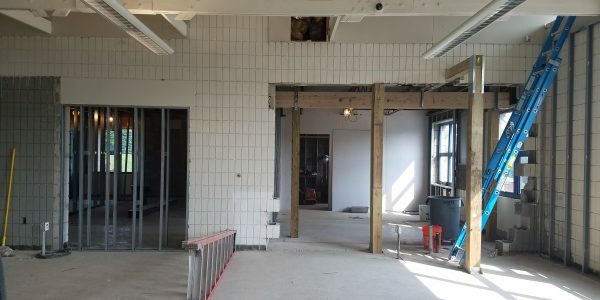 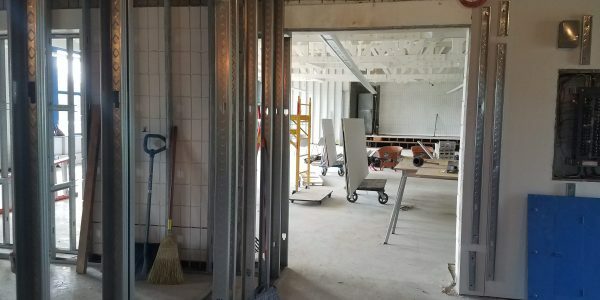 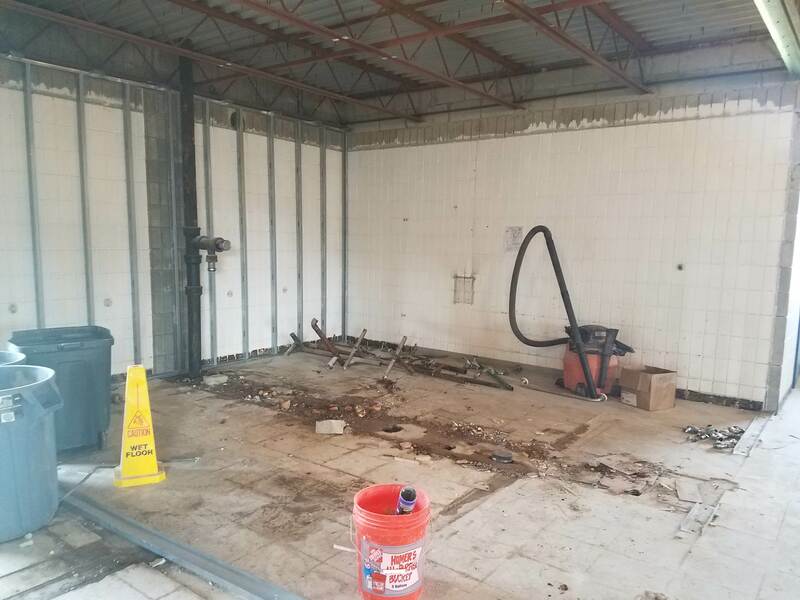 Welcome Desk & Staff Area – The kitchen is gone and an entrance for the staff area is being created. 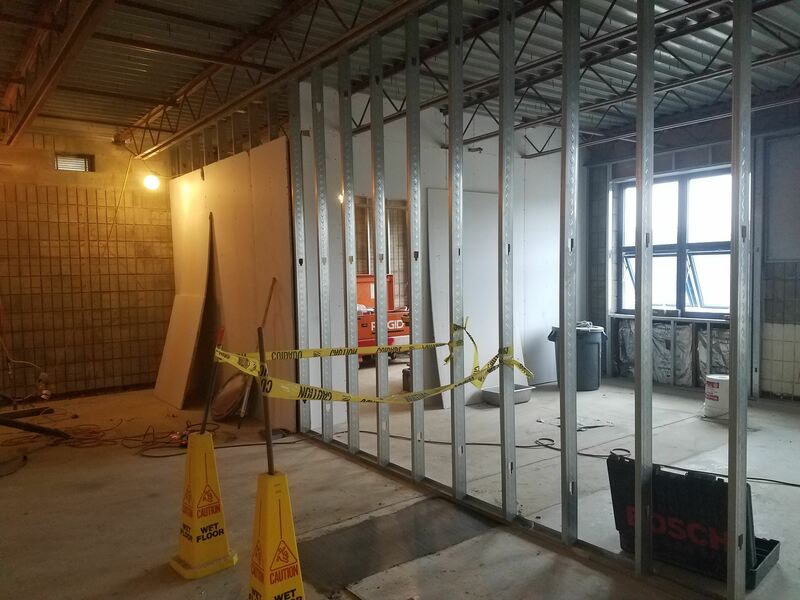 To the left is a wall being created that will be the back of the welcome desk. 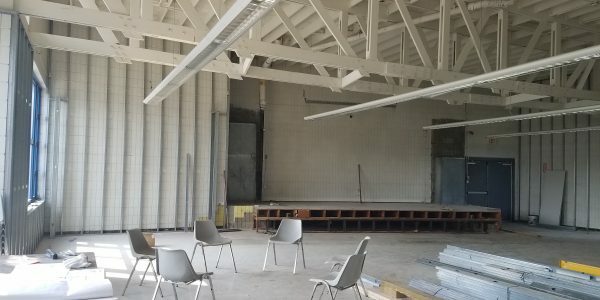 Public Space – Stage is almost gone. 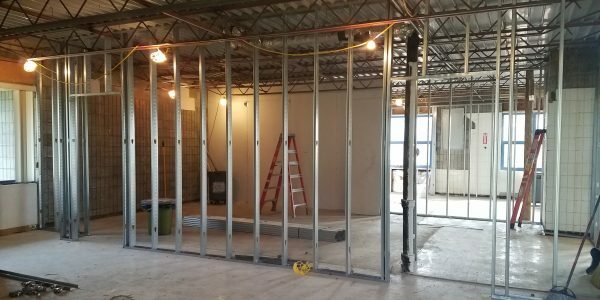 Walls are being prepped for drywall. 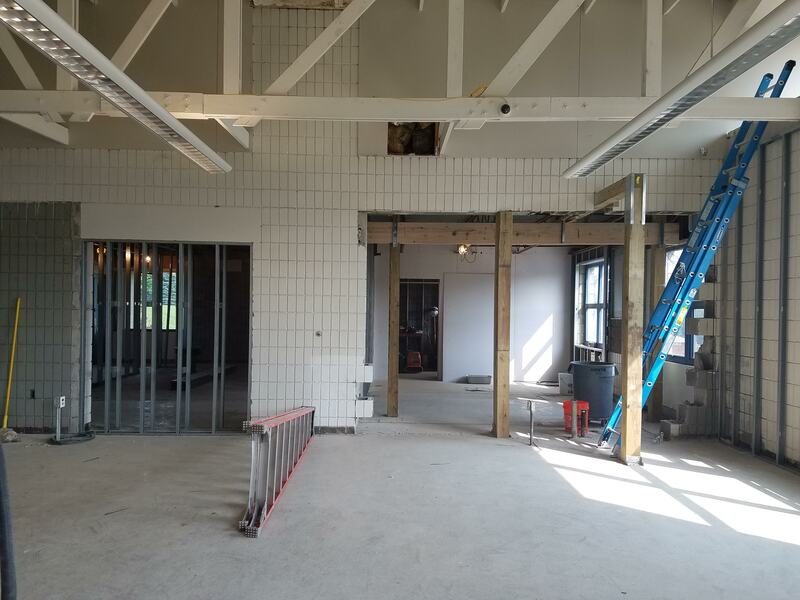 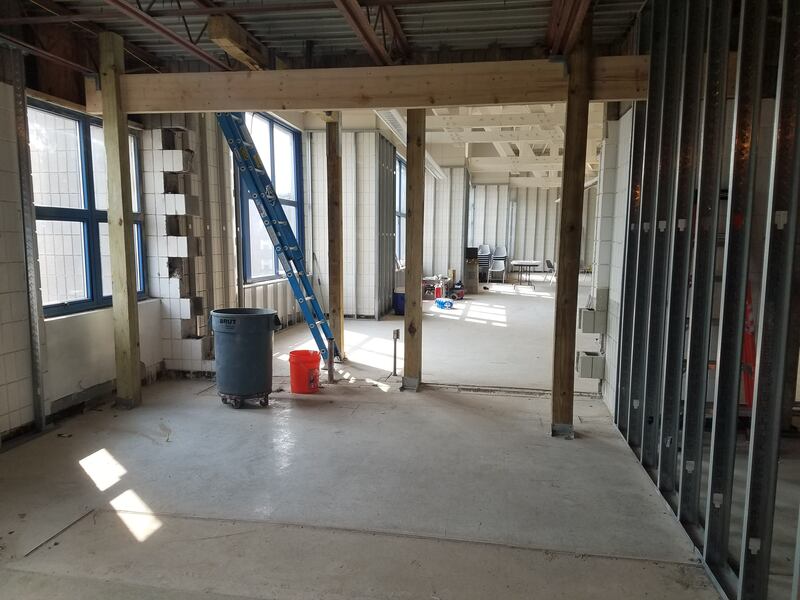 Old foyer – This space will be used to increase bathroom space and create a refreshment area. 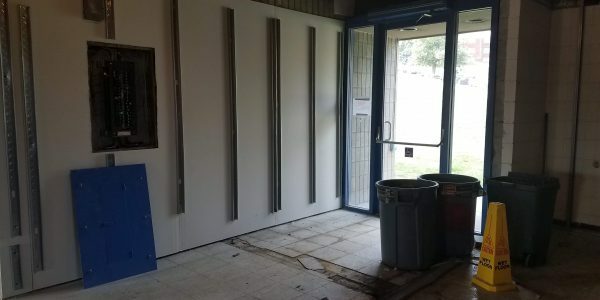 Old dingy bathrooms are gone! 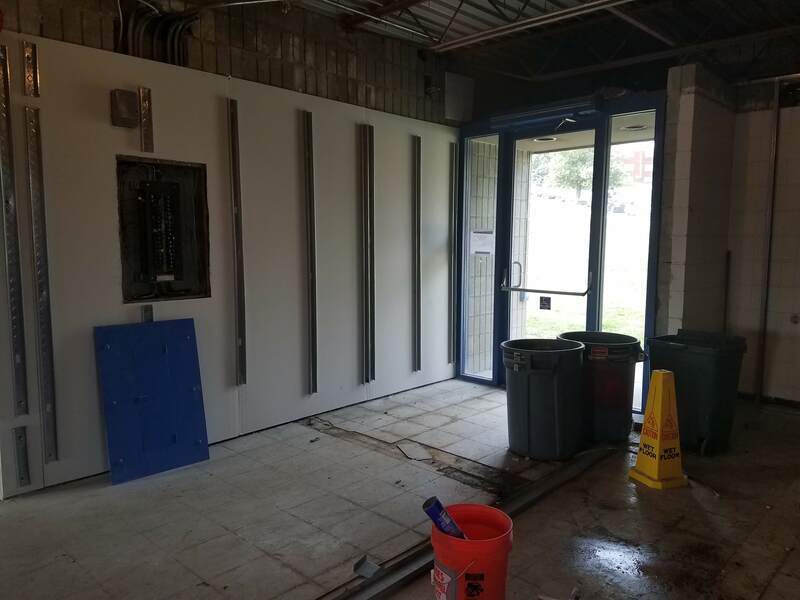 Director’s Office – I get a door that closes!